Before creating the “Recovery” album, he planned to do a sequel for “Relapse” but decided not to because the lyrics were very different. The meanings were opposite of each other. This album was to show how he was doing better after getting over his drug addiction. Which he almost died doing because he wasn’t even sure what he was taking. 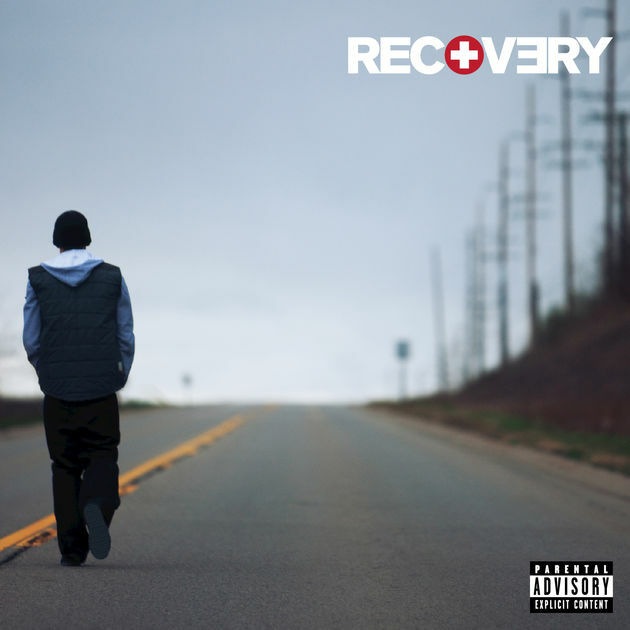 The singles from the Recovery album were “Not Afraid,” “Love the Way You Lie,” “No Love,” and “Space Bound.” In the song “Not Afraid,” Eminem talks about he was in a dark place but he eventually got out. He also seems to dedicate this song to anyone who is going through stuff and show them that it does get better. This song sends out a positive message, in the way that it is sating away from drugs and violence. In the second single “Love the Way You Lie,” it talks about two lovers who stay together even though they know they should separate. This song shows his relationship with his ex-wife, Kim, which was a love-hate relationship. The music video of “No Love” featuring Lil Wayne shows a kid that was being bullied but finally stood up for himself after he listened to Eminem and Lil Wayne songs. This means that this song doesn’t really show what was going on in Eminem’s life but more of how his music helps and could motivate other people. The last single, “Space Bound” shows two sides of Eminem, like his past self and his present self. In the video, it showed Eminem when he was violent and aggressive which is his past. His present self is now him being calm, something he wasn’t very good at before. This album has got to be one of the most inspirational and motivational albums I’ve ever heard. Another thing that this album has shown was how Eminem grew up. In one of his songs he explained how he almost dissed two artists but he doesn’t, the song “Talkin’ 2 Myself” is where he explains this. His growth is shown here because in his previous albums he would diss so many people that have done him wrong but in “Recovery” he does the opposite and shows more honesty.